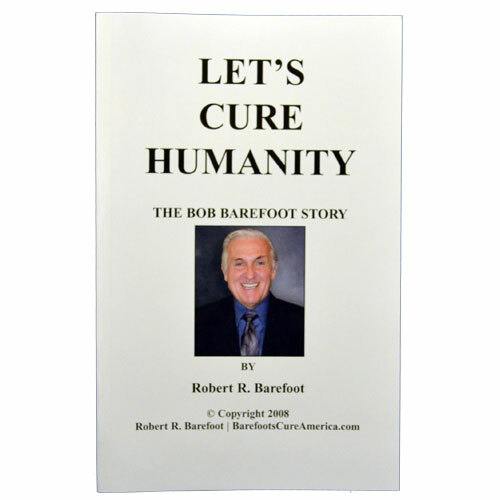 Let's Cure Humanity, The Bob Barefoot Story is written by Robert Barefoot and details the amazing journey through his life's work. The reader will gain a better understanding of Bob Barefoot's life mission to promote a country of better health and natural lifestyles. The coral calcium used in Barefoot's supplements come from the coral reefs off Okinawa, Japan which is the richest source of bio-available minerals anywhere in the world. Barefoot takes readers through the discovery process of extracting the coral and creating one of the richest natural health supplements available on the market today. Also included are many quotes from some of the top scientific minds in world regarding the benefits and importance of Coral Calcium and other minerals.